Torn between the dark side and the light, Kylo Ren in Star Wars: The Force Awakens was surely one of the more emotionally conflicted movie characters in 2015. But how to visualize that? Enter the characters of Pixar’s Inside Out. 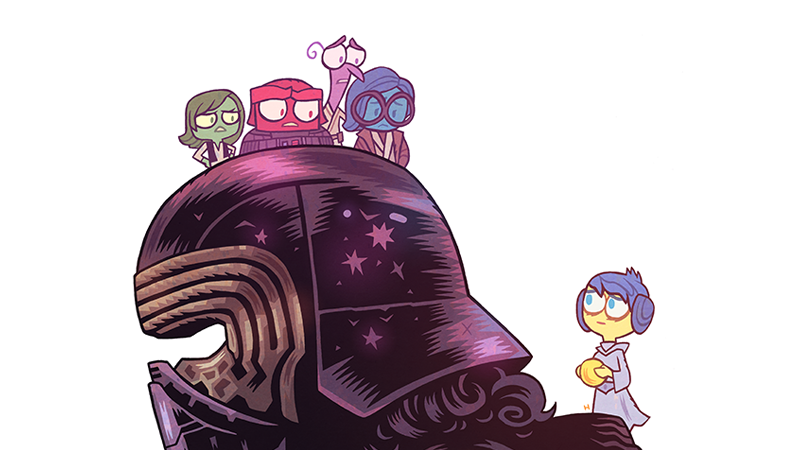 Artist Dan Hipp has taken the characters from the Pixar hit and created a beautiful, sad image of what Kylo Ren could be feeling either during this film, or going into the next. Check it out. We’re not sure what’s sadder. The Joy in Kylo’s life being outside of his head, the fact Joy is his mom, or the core memory of his Dad.